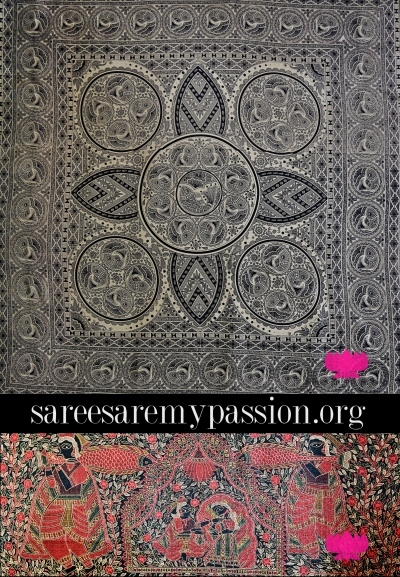 Its been a very long time and I'm back with my notes on traditional classic weave from Odissa which is Sambalpuri Ikkat silk saree, this saree is a bit heavy and all the traditional elements like Rudraksha, fish motifs and many more you can see, check out my latest update and experience the glory of this beauty! Every South Indian most desired silk saree is Kanchipuram, of course, I do love it too the core because of its elegance, traditional values, colors which makes this silk saree outstanding. 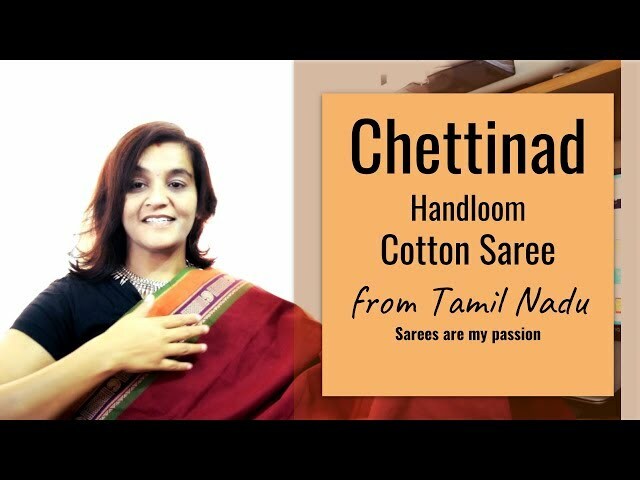 Apart from Kanchipuram silk saree Tamil Nadu textiles have one more interesting cotton version of saree called as Kanchi Cotton Saree do experience this exquisite masterpiece in my video. 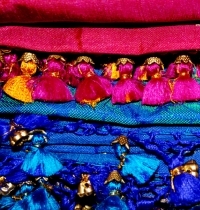 Tassels are the finishing feature on fabric or any other clothing decoration! My wedding bells was around the corner, I was all alone to decide things, I made a checklist and I started one by one, ticking which was done and making a note which has to get complete, finally it was the turn of Tassels, so I decided based on the saree and blouse(Upper garment) to add a mix and match of silk threads and some additional ornamentation with some beads as well, but my designer was well talented and she knew what I wanted exactly and finished the work on time! One of my vintage collection from Tamil Nadu is Kanchipuram Double Border Saree, it is a Beige color as you can see in the portrait and do check out for an overall look of the saree in my video of as well. It has that charm of subtle look yet gives that opulence. Why Handpicked sarees are sold like hotcakes? It was one of the most humid days of summer in March, Bangalore and all of a sudden earthy mud smell ha being 'Taurus' sun sign I really love to play in the mud, and with natures basket, it might also include rain as well and slightly it drizzled it was first rainfall of a season and I had this topic in mind for a long time, having a cup of green tea to refresh me, so now so let's get started. Romance in Moonlight is one of my handpicked saree for my 'Reception' during my wedding, what I really love about this saree is the hues are just apt since it was an evening event. I had a personal perception I would look short, but I'm 'neither tall' nor 'short', I picked this saree for the combination of colors, the peacocks, they generally call this variety of saree as 'No border' or 'Without border' designer saree, all I had in my mind was I would look a bit taller and this saree really did justice for what I wanted. I am super excited today! Because I am sharing forty years old traditional Bangalore(Bengaluru) handloom silk saree which my dad gave to my mother during the wedding. In India, generally, it is a customary that Groom side they are supposed to give to the Bride a traditional outfit which is a saree in south India. Being a saree enthusiastic I did not see my mom's wedding saree which is very strange haha, recently when I visited my parent's house, I was having a casual talk to my dad and my mom was deep cleaning her closet, I noticed a couple of sarees which was very interesting, one such saree was her wedding saree!! Handloom sarees are one of the most classic ones and will never go out of fashion no matter what new sarees comes in trend. 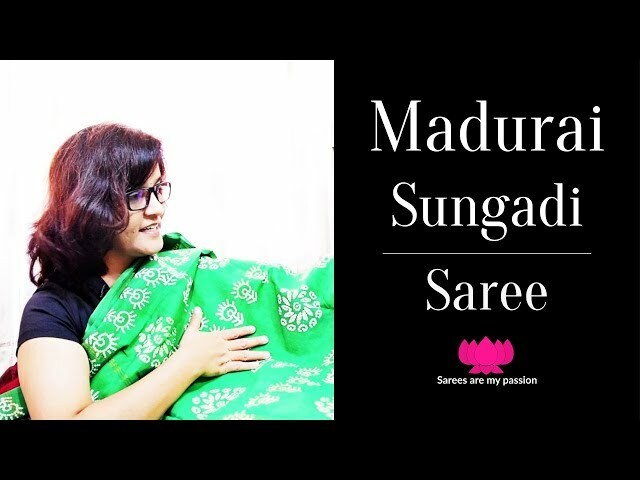 In Karnataka there are so many such sarees which are yet to come to the light, I'm trying to reach via my blog post and my youtube channel Sarees are my passion to educate, discover and learn about sarees. 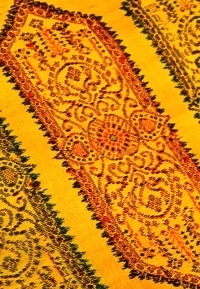 Here is one such Vintage Ilkal Saree from Bagalkot district of Karnataka state. Check out this graceful saree from the video link.